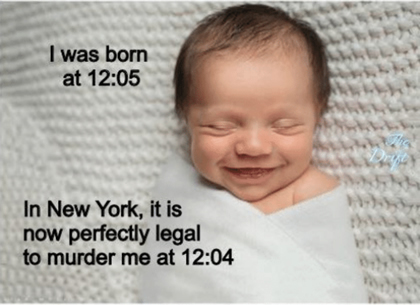 And as of last week, in New York, legislators codified into state law the “justifiable” murder of a baby at 12:04 a.m., one minute before its scheduled birth. 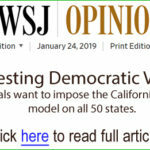 Modern America has lost “the juice and sap of wisdom, reason, honesty and godliness” of the stock that established America. 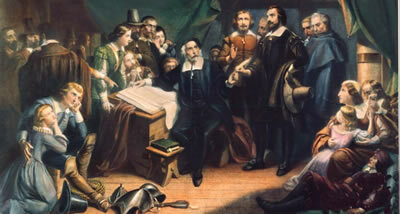 A biblically-based culture was integrated into the Founding Fathers’ model. People living between the 17th and the 19th centuries recognized that “the atheist is the fool preeminently and a fool universally” (Charles H. Spurgeon, The Treasury of David). 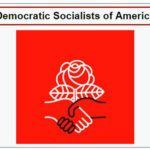 The Democratic Party, whose roots go back to Thomas Jefferson and James Madison, has experienced a “hostile takeover” by fatuous seculars. 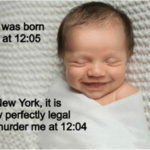 Take New York Governor Andrew Cuomo and the New York Legislature cheering a bill that allows a 9-month-old preborn baby to be murdered in the womb. 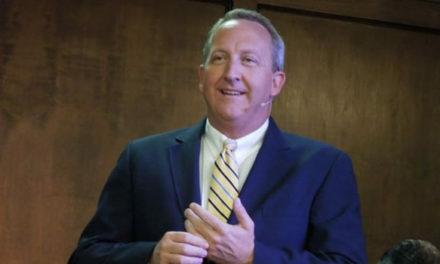 Unknowingly, Representative McWilliams paid homage to the false religion of “political correctness,” “secular humanism” and “heretical syncretism.” Syncretism is the combining of different, often seemingly contradictory beliefs, by melding practices of various schools of thoughts and religion. The Bible strictly forbids syncretistic worship. The mingling of biblical and pagan religions is a violation of the first commandment and brings judgment on a nation. Former President Barack Obama was the master of syncretistic worship—jumbling religions together. Doing so is not just unholy, but an abomination to the Living God. It must be said unequivocally: America was not founded by Muslims, “multiculturalists,” or the “religiously neutral.” Christians founded America. “Why is this happening?” you may ask. To paraphrase Sun Tzu in The Art of War(Chinese general, military strategist, writer and philosopher who lived in the Eastern Zhou period of ancient China): Over the generations the weapons change—we’ve gone from bow and arrow to nuclear missiles—but the battle remains the same, contending for control of resources and ideological supremacy. 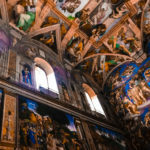 For that reason, secularists have removed the Word of God from the culture, from public education and higher learning; the Ten Commandments from the walls of public schools, from Houston’s Courthouse steps, from Austin’s Capitol grounds and so on. Half of all evangelical and pro-life Catholic Christians carry some of the blame by refusing to register and vote. 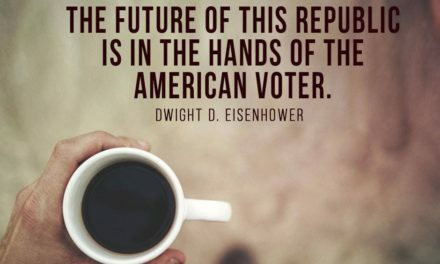 The battle for the soul of America is not Democrat versus Republican, but “principalities and powers,” which can only be conquered by His Word. The Word rules the spiritual enemy. And since the trouble with man is not external or internal, the battle for survival of freedom in America lies in reestablishing the Word of God in the public square and in public education; regardless of whether secularists and carnal men can recognize it or not.